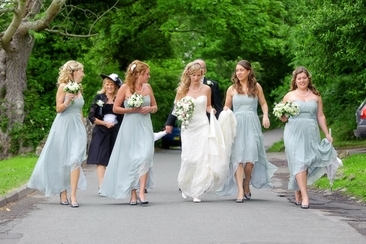 Traditionally, the entrance of the bride and groom has a settled order, music, and ritual. If you are bored with the old conventions, or if you want your guests to be more involved, consider using a funny bride and groom entrance song, which will create a joyful mood through its rhythm or fun lyrics. You might choose one for your wedding ceremony entrance, or for your reception. 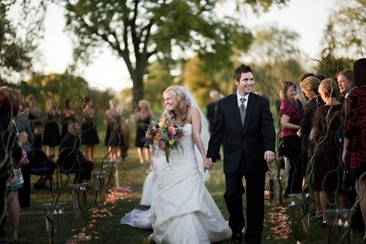 This list will provide 20 fun melodies for your wedding entrance. ‘Happy’ is exactly what it says: happy! It will get your audience clapping, smiling, laughing, especially if you have some nice choreography to match the song. Choose this song for a noisy round of applause. Dear future wives, are you ready to tell your spouse (and everybody else) that you are never wrong and can hardly cook? What do you expect from him? 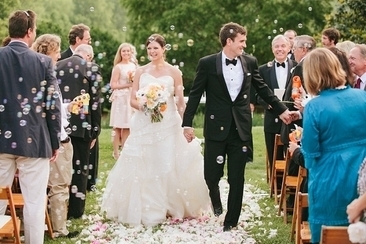 You can choose this song for a quirky entrance before the ceremony. Country music, especially honky-tonk songs usually have a stimulating beat. In this tune, George Strait pairs a merry rhythm with even merrier lyrics about the “disease” of love. 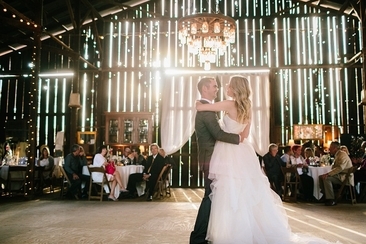 This might just be the perfect song for a country-style wedding. I suppose everybody will recognize this song, which reveals the first step towards a happy family. It is strangely appropriate for weddings if, especially if you consider the lyrics: Aren’t weddings supposed to make sure that your spouse won’t hurt you anymore? This song is quite popular at weddings as well, but you really need to put on a show to go with the heavy beat. 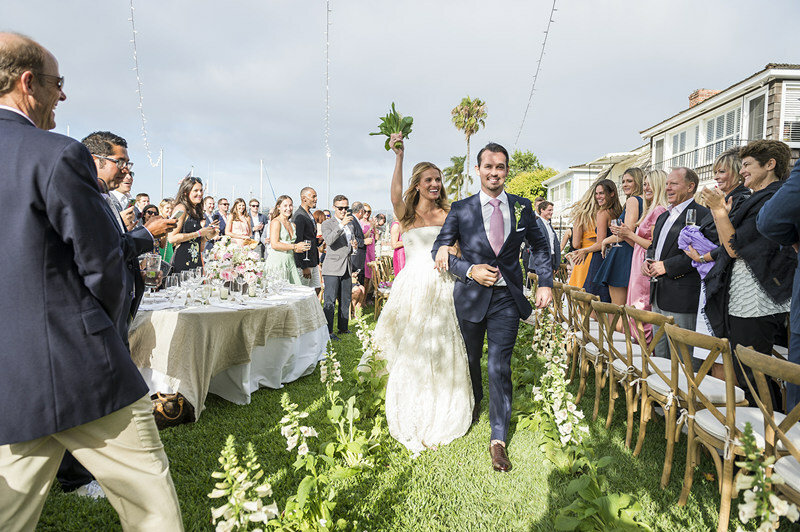 If you are confident enough to do it, you’ll give your guests a wedding experience they will never forget. This is another country song that tells the story of a city girl who fell in love with a country boy. The beat and lyrics make it fun. 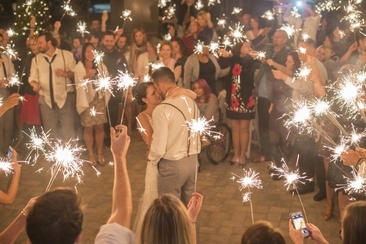 The only question is: is your love story similar enough so that your guests will be able to make the connection? Do you both love beer? Then this one is probably the best funny bride and groom entrance song for you. It’s a lot of fun when you can incorporate something personal, something that really suits your big day, especially when others know about it too. Party time!!! If your guests need encouragement to start partying, then this is the perfect song for your reception entrance. Be prepared for boisterous cheers and let the party start! Well, now’s as good a time as any to let him or her know that you do believe in love. You should tell your spouse eventually, so why not on your wedding day? Start partying immediately when you enter your wedding reception during this Nicki Minaj song. I’m sure both you and your guests will have loads of fun as this song plays and long into the night. This lively, anthem-like tune is for those who love classical music but don’t want to use the traditional entrance songs. It’s also great for those who love Formula 1. The way this band sings this song is so dramatic! I love it, and I bet your guests would love it as well, as a funny bride and groom entrance song that creates a delightful atmosphere. Another crowd pleaser, don’t be surprised if your guests join in the chorus. The lyrics make it completely appropriate for weddings; it’s basically a song about love at first sight. And the awesome beats encourage dancing and partying. For all the rock fans out there, I can imagine you walking down the aisle to the one waiting for you backed by acoustic guitar, bass, and congas. This song is a nice love song, but with its great rhythm it is also fun song, perfect for a rocker wedding. Michael Jackson’s famous hit is a great choice since most of your guests will be familiar with the song. Some good choreography will certainly make your entrance a hit as well. Soccer lovers will definitely recognize this tune, the anthem of the UEFA Champions League. The vitality of the anthem will affect the people at your wedding; they will be filled with energy after the entrance, so the party can start straight afterwards. Your two separate worlds end on the day of your wedding. If you want to highlight this fact, you can do it by using this unusual but funny bride and groom entrance song. If you like rock music and you are not afraid of what your audience might think, ‘Highway to Hell’ could be a great choice. Hopefully your guests will understand and appreciate your irony. Do you love cartoons? You may want to enter to this melody from The Pink Panther. Most people will recognize the tune and they will find this choice amusing and entertaining. Bruno Mars’ famous song is a lively rhythm that will awaken your audience. This merry melody will be stuck in everybody’s head. It is perfect for a wedding somewhere between traditional and modern styles. If you're sick of the old cliches for wedding songs, this list of first dance alternative songs will help you pick the perfect tune. From romantic to fun, you won't go wrong with these 20 fantastic picks. 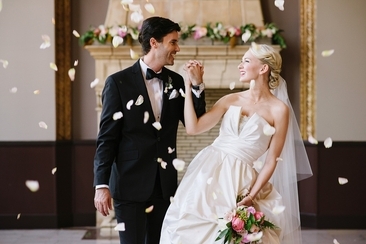 These romantic songs for weddings will help set the perfect mood for your big day, no matter for first dance, your entrance, and other background music.